How can you enjoy Valentine’s Day with Cebu’s traffic gridlock? And after you inch your way through the traffic jam, you still have to deal with crowded restaurants. 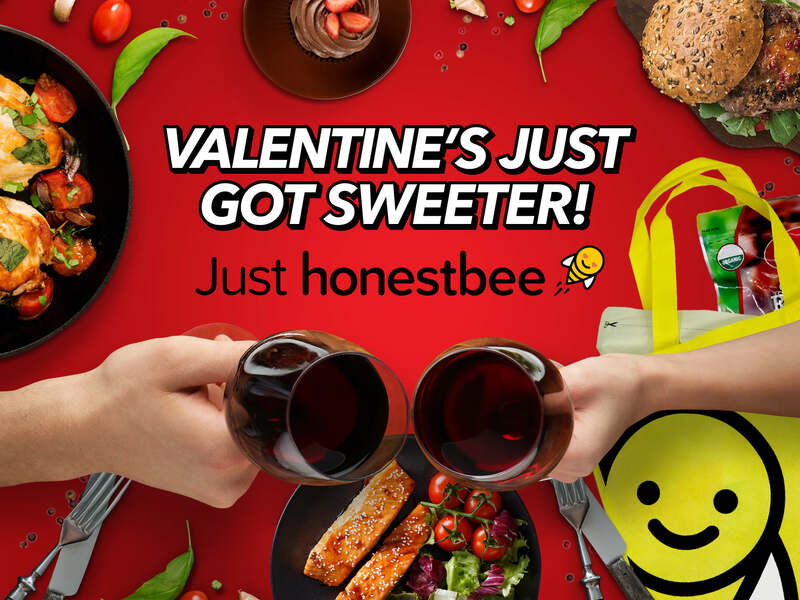 This day of hearts, there’s a better romantic dinner option: honestbee delivery. Honestbee is Asia’s leading online concierge and delivery service. With an extensive selection of restaurant partners that can deliver sumptuous meals, you will be able to express just how much your loved one means to you, without the hassle and fuss of traffic and restaurant reservations. With just a few taps or clicks on the honestbee app, Cebuanos can have culinary treats delivered from merchants such Acacia Steakhouse, Dolce Café, Dong Juan, Fudge, Ilaputi, Pasta Bella, Raphael’s Sports Café, The Old Spaghetti House, Weekend Kitchen, and Taproom. Honestbee is an on-demand delivery service that is buzzing in Singapore, Taipei, Hong Kong, Tokyo, Jakarta, Kuala Lumpur, Bangkok and Manila. Through the honestbee app, one can have food and groceries delivered fresh and fast from restaurants and stores straight to your doorsteps to make life easier and give everyone more time for the things and more importantly, the people that matter — like your loved one on Valentine’s Day. Download the honestbee app for free on the iOS App Store or Google Play Store. Visit www.honestbee.ph or you can visit their Facebook and Instagram page at https://www.facebook.com/honestbeePH and https://www.instagram.com/honestbeeph.